Jaded Blossom: Joy to the World, Christ was Born! 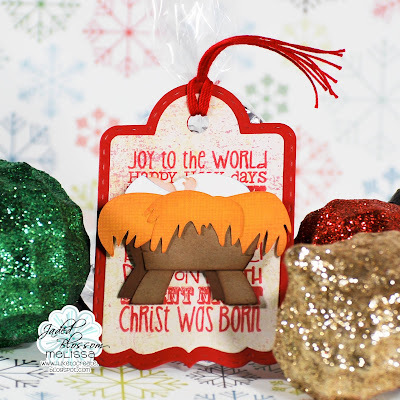 I used the Treat Tag Die and the Holiday Treat Tags stamp set. Look for this stamp set to be restocked this Friday for the Black Friday weekend sale along with lots more JB goodies! I attached this to a bag of candy, but you can't see the sweet chocolate morsels in this photo. See you this weekend for the Black Friday Blog Hop! Great work. Its look stunning. Christmas is coming and everybody planning to gift something to others. I often try to gift unique personalised gifts to relatives and friends. I like the innovative ideas you share with us. Gifts to Pakistan .